Lady Gaga’s Born This Way Ball tour is nearing the end of the Australian leg, which wraps up with two shows in Perth this weekend. Gaga played five nights in Melbourne in the last week and a half, and the pop icon and her crew were looking to celebrate the American July 4th holiday after the fifth show finished on Tuesday. 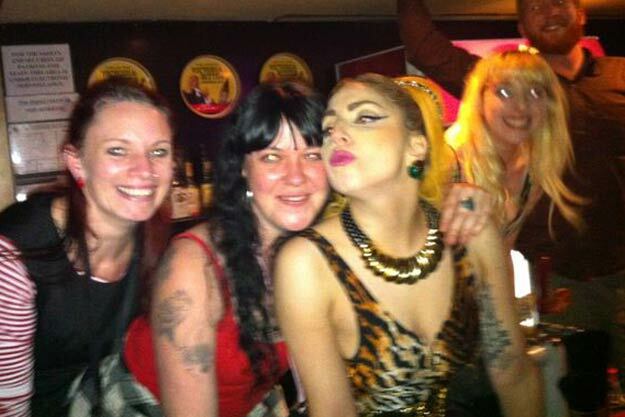 The Age reports Gaga and company were turned away by the Cherry Bar club after negotiations to host the tour after-party fell through. Gaga’s band wanted to play the Cherry Club event, but co-owner and booker James Young insisted that Gaga's band have the stage cleared by 9pm to make way for local act Jackson Firebird, who were booked for week one of its Wednesday residency. Young said Gaga's band and crew enjoyed "a great relationship with Cherry" over previous tours. "They've come in night after night, stayed very late and had a ball," he said. "So the band approached us about having a tour after-party here."